Control inputs are pre-programmed and applied during the trajectory. Determine the efficiency and capability of a control method as implemented on your flight vehicle design. 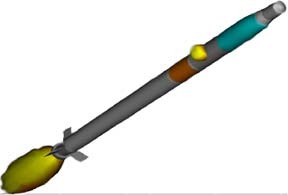 Perform this critical step in the development of a guided flight vehicle before moving on to a full guided vehicle simulation.